Copying and pasting text or images is an established and tidy practice: we copy the content from a source document, then paste it into a different location. But copied content that is then sent to myriad other destinations via social media under the guise of “new” information needs a name. Enter copypasta – everything that’s repeatedly copied and pasted yet often passed on as original. According to some, the term first appeared in 2006. Yet many have not officially recognized it, although Merriam-Webster (M-W) Dictionary refers to it as “a word we’re watching”. The dictionary defines it as both a count noun (a tweet can be a copypasta) and a mass noun (people pass on more and more copypasta). It’s been used as a verb, although, as M-W states, “we don’t know what the verb’s inflections are: I copypastaed? 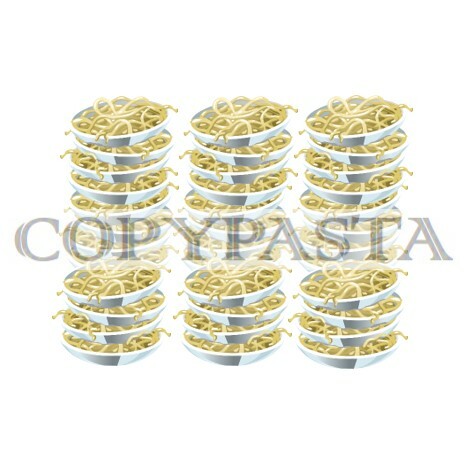 I’m copypasta’ing?” And that leaves “pasta” thrust into an unwilling analogy of repetition and quantity, like the spaghetti wolfed down by marathon runners pre-race. All comments aside, time and the unscientific process of determining what sticks and what doesn’t will help seal the term’s fate. In the meantime, observing that course from the outside will reveal how a new word and changes to its form occur in real time.